As an educator there's no greater feeling, than to have an entire school showing spirit. Is your school often showing spirit? Not sure, here are some things to look for. Attendance at school sporting events. These activities are supposed to draw crowds, these activities are supposed to get people excited, when they don't...something is wrong! A school showing spirit looks beyond winning and losing streaks. It see's the people playing the game, and is proud to support them. So if your students are actively showing support for their sports team...then that's a good sign of school spirit. Nothing says school spirit better than school spirit clothing. Whether it's a personalized shirt or a leather sports jacket with your school logo...school spirit clothing is cool	and, it gets noticed. 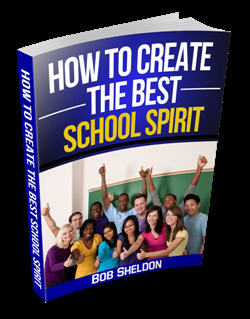 Do your students proudly wear various forms of School spirit clothing ? Because school spirit clothing and a school showing spirit go hand in hand. And this is just a mere fraction of what school spirit entails. 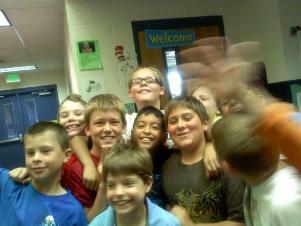 A school showing spirit is full of energy, and is actively involved in the community. 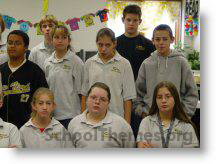 A school full of spirit, has a strong sense of togetherness and this is felt through the entire student body. When you have a school showing spirit both students and teachers are motivated. 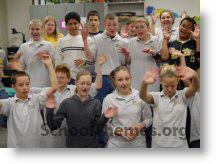 When you have a school showing spirit, students are enthusiastic about school and learning becomes fun. Finally, a school showing spirit is always, (and I do mean always) an inspiration to others. Want to Boost School Spirit? Use School Spirit Merchandise ~ This includes everything from key chains, hats, and athletic wear, to window decals and bumper stickers. Have School Spirit Contests Throughout the Year ~ Acknowledge students, staff, sport teams, etc that show the most spirit. Incorporate various school themes in your curriculum ~ Not only will this boost school spirit, themes also help to build character among students and staff. Using school spirit items and promotions have the potential to make every child - every student - a raving success! After all.... it's all about our kids! We offer a diversified selection of School Themes... each designed to ignite School Spirit. All of our Themes have the potential to inspire every student. Each theme provides examples of how schools have used them. And you can let the creative juices flow ... be imaginative... be creative. After all, your school is unique! You have special kids, special staff, special needs, special lessons, focus, culture, geography, etc. So whether it's SEAS, SHOES, USA, FIESTA or any of our other School Spirit Themes, the key is we've done the homework. 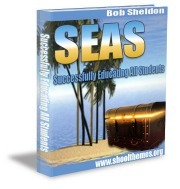 Each theme has unique features but remains flexible enough to support YOUR school's creative use. And the benefit is... raving School Spirt that excites, encourages and motivates, students, staff and your entire education community. Inspired students reach unimagined levels of achievement! School Spirit Themes bring effort and passion together. When these actions and emotions are combined by students and supported by your staff, student achievement soars. A picture is worth 1000 words... School Spirit is contagious! 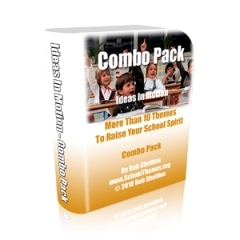 We outline proven strategies in our School Themes. The simple to understand information and processes are time tested. You can very easily and effectively apply these approaches to your classroom. However, we've also left a lot of room for your creative thoughts to play an important role in promoting School Spirit as you see it. We even show you how to create your own School Spirit Themes. Increased School Spirit Activity is just a click away! Just click on a Theme link for immediate download via our secure site. Here are some school themes you will want to consider. Leave School Showing Spirit and Get Your School Theme!